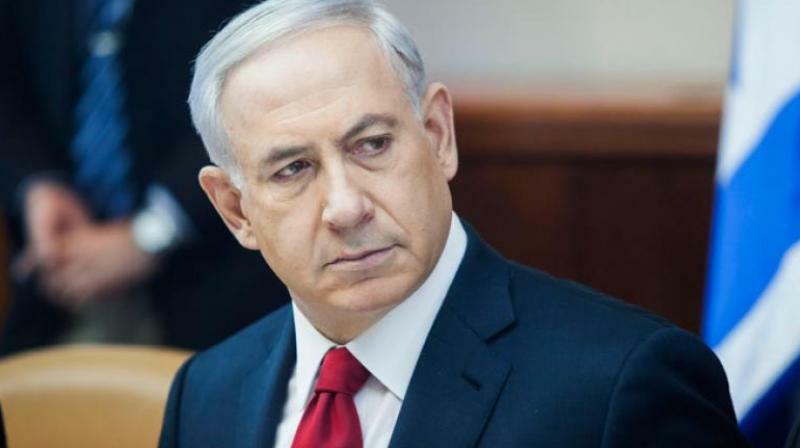 Jerusalem: Israeli Prime Minister Benjamin Netanyahu on Tuesday hailed the United States's policy on Iran and urged the rest of the world to follow suit. "The US policy is correct. Iran is spreading aggressively throughout the Middle East. It aspires to achieve nuclear weapons by various means," Netanyahu said as he met Paraguayan President Horacio Cartes in Jerusalem. "We call on the entire international community to join this American position," Netanyahu added. He was speaking after US Secretary of State Mike Pompeo on Monday warned Iran would be hit with the "strongest sanctions in history". Pompeo also cautioned European firms against continuing to do business in Tehran, toughening up the US policy line after its withdrawal from the 2015 nuclear pact this month despite intense diplomatic efforts by Washington's European allies. The deal was also signed by Britain, China, France, Germany and Russia. "Whoever wants to halt Iran's aggression and whoever wants to ensure security, and whoever wants to advance peace must oppose Iran and support the American position. This is what Israel is doing," Netanyahu said. A staunch opponent of the Iran nuclear deal, Netanyahu again showered US President Donald Trump with praise for pulling out of the deal on May 8. "President Trump has taken a firm position, which we welcome, against Iran. It was echoed by him and today by the Secretary of State Mike Pompeo, very strong position: No enrichment, tough sanctions and Iran should get out of Syria," he said. "We believe this is the right policy. We believe it's the only policy that could ultimately guarantee the security of the Middle East and peace in our region," Netanyahu added.